There’s good news for the Foster household. Freeform has renewed The Fosters TV show for a fifth season. The drama will reach the 100 episode landmark during season five. 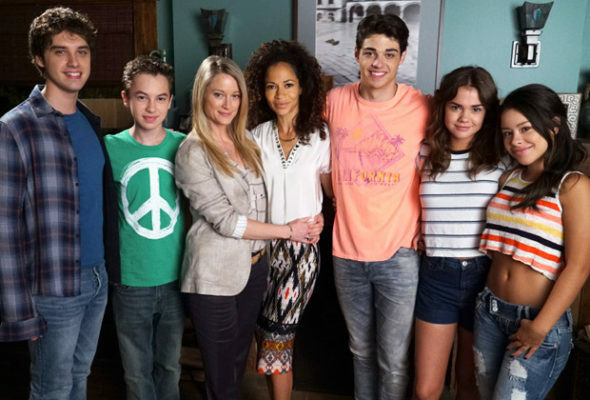 The Fosters revolves around an interracial lesbian couple who are raising a blended family of foster, biological, and adopted kids in San Diego. The Freeform TV show’s cast includes Teri Polo, Sherri Saum, Hayden Byerly, Noah Centineo, David Lambert, Maia Mitchell, Danny Nucci, and Cierra Ramirez. Season four began airing in June 2016 and 10 episodes aired before the series went on a break. Those installments have averaged a 0.38 rating in the 18-49 demographic with 891,000 viewers (live+SD ratings). Season four resumes on January 31st. Freeform’s critically acclaimed family drama “The Fosters” has been greenlit for a fifth season, which will bring the series to the momentous 100-episode mark. The network will premiere all-new episodes from the fourth season on Tuesday, January 31, at 8:00 p.m. EST. Winner of a Television Academy Honors Award and GLAAD Media Award for Outstanding Drama Series, “The Fosters” is executive produced by Jennifer Lopez, Bradley Bredeweg, Peter Paige, Joanna Johnson, Greg Gugliotta, Elaine Goldsmith-Thomas and Benny Medina. “The Fosters” stars Teri Polo, Sherri Saum, Hayden Byerly, Noah Centineo, David Lambert, Maia Mitchell, Danny Nucci and Cierra Ramirez. The series is produced by Nuyorican Productions, Inc. in association with Freeform. What do you think? Do you like The Fosters TV show on Freeform? Are you looking forward to the rest of season four? Are you glad that The Fosters has been renewed for a fifth season or, do you think it should have been cancelled instead? I think “Fosters” is a great show with lots to say and teach. It would be a shame to lose such a great show!!! I Love The fosters!! It’s my favorite show! Will season 5be on Netflix? If no where will I find it? I like foster just found netflix watch all 4 of first season on it..it helpful to kids who feel like out cast in society..they deal with many issue.that most of soceity.does not deal with.. This show is a fav of mine, my daughters and my niece. Ages 54, 27 and 16. This is a show that we all can’t get enough of. Love the acting of all the characters but Jesus in session 4 has me on the edge of my seat. His acting is amazing. Jud is my favorite character….. Just love him. I’m 67 and LOVE The Fosters!! It’s so relevant. Please keep up the wonderful work you are doing. I thoroughly enjoy this show. I am well beyond the 18-34 year old age demographic mentioned in the ratings and I hope this show continues for a long time. I especially enjoy the chemistry between Steph and Lena. Hope the writing continues to be relevant and doesn’t become pedantic. Thanks for renewing it. Truly enjoy this show. It covers the good and bad part of life without using fowl language or extreme violence. Everthing including any sexual situations become a learning experience. I think it is a show that a family could watch together and come away with a positive attitude toward a great many issues facing people today. A very entertaining and informative show. Hope it will continue on. We love The Fosters. We are looking forward to the upcoming season 5. What channel is it on. Also what is the day and time. I love the Fosters and will always watch this show as long as there are new episodes. THIS IS MY FAVORITE SHOW!!! I’M SO ECSTATIC THAT IT IS CONTINUING! CAN’T WAIT FOR SEASON 5!!!!!! I am very excited that they will be back for a full season!